June 1863. The Gettysburg Campaign is in its opening hours. Harness jingles and hoofs pound as Confederate cavalryman James Ewell Brown (JEB) Stuart leads his three brigades of veteran troopers on a ride that triggers one of the Civil War’s most bitter and enduring controversies. Instead of finding glory and victory—two objectives with which he was intimately familiar—Stuart reaped stinging criticism and substantial blame for one of the Confederacy’s most stunning and unexpected battlefield defeats. Now in paperback, Plenty of Blame to Go Around: Jeb Stuart’s Controversial Ride to Gettysburg by Eric J. Wittenberg and J. David Petruzzi objectively investigates the role Stuart’s horsemen played in the disastrous campaign. It is the first book ever written on this important and endlessly fascinating subject. Stuart left Virginia acting on Gen. Robert E. Lee’s discretionary orders to advance into Maryland and Pennsylvania, where he was to screen Lt. Gen. Richard Ewell’s marching infantry corps and report on enemy activity. The mission jumped off its tracks from virtually the moment it began when one unexpected event after another unfolded across Stuart’s path. For days, neither Lee nor Stuart had any idea where the other was, and the enemy blocked the horseman’s direct route back to the Confederate army, which was advancing nearly blind north into Pennsylvania. By the time Stuart reached Lee on the afternoon of July 2, the armies had unexpectedly collided at Gettysburg, the second day’s fighting was underway, and one of the campaign’s greatest controversies was born. Did the plumed cavalier disobey Lee’s orders by stripping the army of its “eyes and ears?” Was Stuart to blame for the unexpected combat that broke out at Gettysburg on July 1? 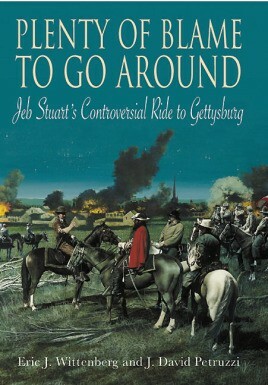 Authors Wittenberg and Petruzzi, widely recognized for their study and expertise of Civil War cavalry operations, have drawn upon a massive array of primary sources, many heretofore untapped, to fully explore Stuart’s ride, its consequences, and the intense debate among participants shortly after the battle, early postwar commentators, and modern scholars. The result is a richly detailed study jammed with incisive tactical commentary, new perspectives on the strategic role of the Southern cavalry, and fresh insights on every horse engagement, large and small, fought during the campaign. About the Authors: Eric J. Wittenberg is an accomplished American Civil War cavalry historian and author. An attorney in Ohio, Wittenberg has authored over a dozen books on Civil War cavalry subjects, as well as two dozen articles in popular magazines such as North & South, Blue & Gray, America’s Civil War, and Gettysburg Magazine. His first book, Gettysburg’s Forgotten Cavalry Actions (Thomas Publications, 1998) won the prestigious 1998 Bachelder-Coddington Literary Award. His most recent books are One Continuous Fight: The Retreat from Gettysburg and the Pursuit of Lee’s Army of Northern Virginia, July 4-14, 1863, with co-authors J. David Petruzzi and Michael F. Nugent (Savas Beatie, 2008) and The Battle of Brandy Station (The History Press, 2010). Wittenberg is a favored speaker at Civil War Roundtables, and conducts tours of cavalry battlefields and related sites. He was instrumental in saving important battlefield land at Trevilian Station, Virginia, and wrote the text for the historical waysides located there. He lives in Columbus with his wife Susan and their beloved dogs. Wittenberg is the CEO of Ironclad Publishing Inc. Visit Eric J. Wittenberg’s website: www.ericwittenberg.com. J. David Petruzzi is a noted Civil War cavalry historian and the author of many articles for a wide variety of historical publications, including Gettysburg Magazine, America’s Civil War, Blue & Gray, and Civil War Times Illustrated. An insurance broker in Pennsylvania, he co-wrote (with Eric Wittenberg) Plenty of Blame to Go Around: Jeb Stuart’s Controversial Ride to Gettysburg (Savas Beatie, 2006); (with Wittenberg and Michael F. Nugent) One Continuous Fight: The Retreat from Gettysburg and the Pursuit of Lee’s Army of Northern Virginia, July 4-14, 1863 (Savas Beatie, 2008); and (with Steven Stanley) The Complete Gettysburg Guide: Walking and Driving Tours of the Battlefield, Town, Cemeteries, Field Hospital Sites, and other Topics of Historical Interest (Savas Beatie, 2009), which won the U.S. Army Historical Foundation’s 2009 Distinguished Writing Award, Reference Category. With Stanley, he also produced The Complete Gettysburg Guide: Audio Driving and Walking Tour, Volume One: The Battlefield (Savas Beatie, 2010). J. David Petruzzi is an award-winning Civil War cavalry historian. He is the author of many articles for a wide variety of publications, and has written or co-authored several books including: (with Eric Wittenberg) Plenty of Blame to Go Around: Jeb Stuart’s Controversial Ride to Gettysburg (Savas Beatie, 2006); (with Wittenberg and Michael F. Nugent) One Continuous Fight: The Retreat from Gettysburg and the Pursuit of Lee’s Army of Northern Virginia, July 4-14, 1863 (Savas Beatie, 2008); and (with Steven Stanley) The Complete Gettysburg Guide: Walking and Driving Tours of the Battlefield, Town, Cemeteries, Field Hospital Sites, and other Topics of Historical Interest (Savas Beatie, 2009), winner of the U.S. Army Historical Foundation’s 2009 Distinguished Writing Award, Reference Category. With Stanley, he also produced The Complete Gettysburg Guide: Audio Driving and Walking Tour, Volume One: The Battlefield (Savas Beatie, 2010). Steven Stanley lives in Gettysburg and is a graphic artist specializing in historical map design and battlefield photography. His maps, considered among the best in historical cartography, have been a longtime staple of the Civil War Trust and have helped raise millions of dollars for the Trust through their preservation appeals and interpretation projects. Steve’s maps have appeared in a wide variety of publications. Co-authored by J. David Petruzzi, Steve produced the maps and the complete design of The Complete Gettysburg Guide: Walking and Driving Tours of the Battlefield, Town, Cemeteries, Field Hospital Sites, and other Topics of Historical Interest (Savas Beatie, 2009), the winner of the U.S. Army Historical Foundation’s 2009 Distinguished Writing Award, Reference Category, as well as The Complete Gettysburg Guide: Audio Driving and Walking Tour, Volume One: The Battlefield (Savas Beatie, 2010). 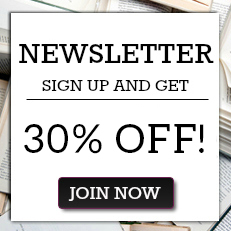 "A fast paced, well told yarn... exhaustively researched... the definitive analysis."